Nepali cuisine (Nepali Khana) offers a variety of seasonal and regional foods with the touch of warmth and hospitality. In Nepal, different geographical regions have its own authentic cuisine. The general consumption for every Nepalese is Dal Bhat Tarkari which is the epitome of Nepali food. 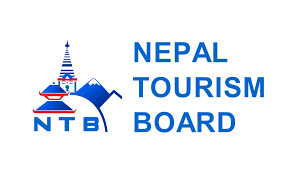 Nepal offers an assortment of multi cuisine food with different gastronomical delight on the palate. Kathmandu has become a food hub with the availability of smorgasbord of food ranging from fine dining to local street food. The multi cuisine foods available are Japanese, Chinese, Korean, Mexican, French and Indian as per your preference. Pokhara city is also a center for foodies where the tourists of different countries can enjoy varieties of food. The local and international foods both are equally popular in Nepal, especially in the cities. People generally eat Dal Bhat Tarkari to enjoy authentic food with the touch of the local lifestyle. 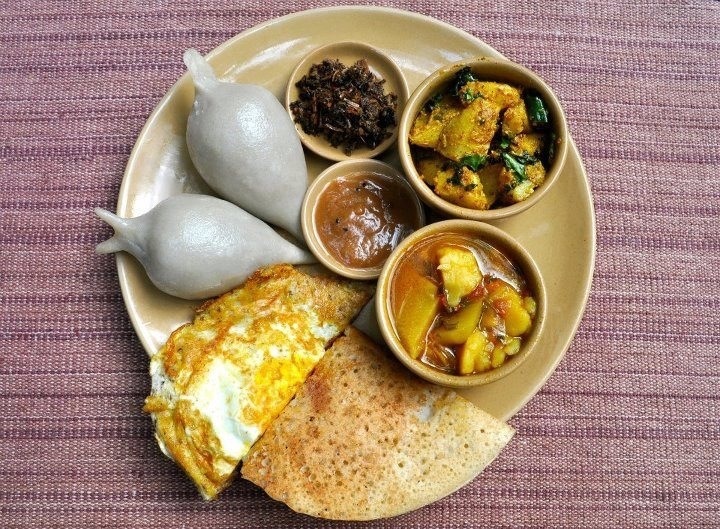 Nepali cuisine is available all around the country with a regional twist. 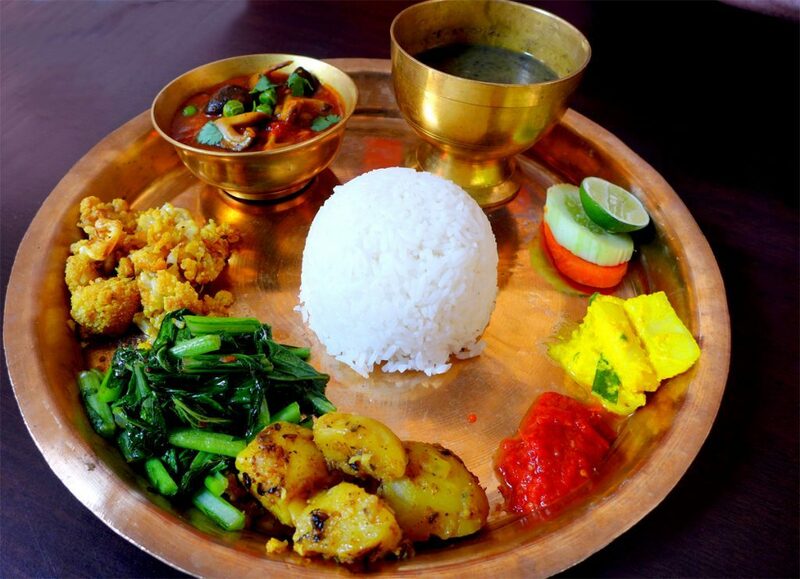 Popularly known as Nepali Thali, it is served on a brass plate and bowls with an assortment of foods. It is the staple food of the county consisting of rice, lentil, and vegetable with homemade Achar (spicy pickle) which is usually fermented. 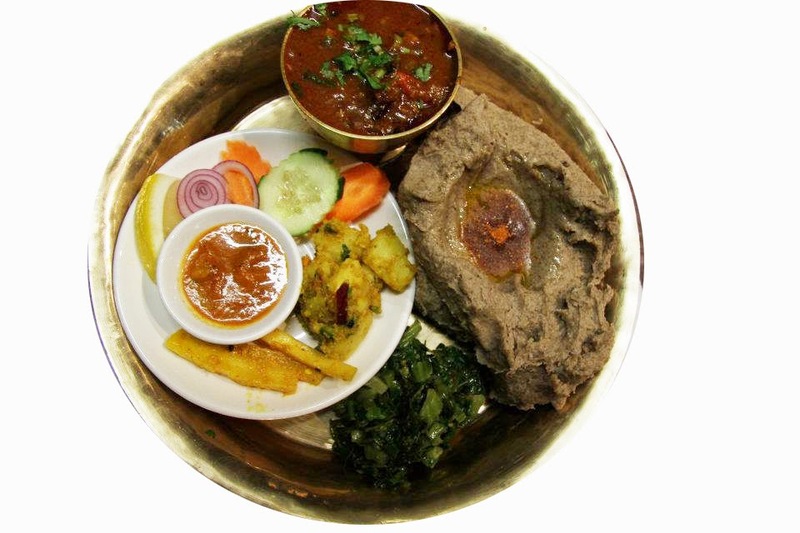 The Nepali Thali consists of Dal Bhat Tarkari with the choice of meat (chicken, mutton, fish). When we talk about Nepali food, Momo comes in everyone’s mind immediately. Momo is minced filled dumpling. It has become a staple food for every Nepalese. 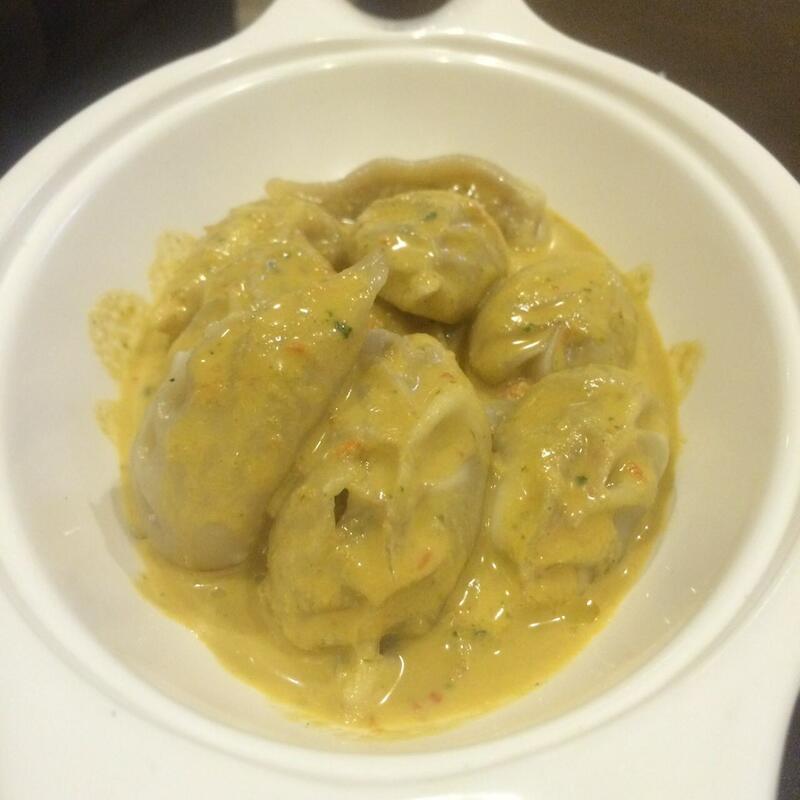 Momo can be found in local shops where they serve it with local spicy Achar and Jhol(Soup). The hot local momos are the ultimate pleasure for every Nepalese. The momos are also available in restaurants and hotels. Among popular gastronomy in Nepal, Newari cuisine is one of the most enjoyed cuisines, especially in Kathmandu valley. It consists of varieties of meat, beans, potato dishes and beaten rice (chiura) which is consumed with local alcohol (Aila). Newari cuisine has its own authentic flavor and is one of the popular dishes in Nepal. It consists of Samay baji, Aalu Tama, Chatamari, Yamari, Choila to name a few. Dhindo/Nepali porridge is made of buckwheat or millet and is a traditional food of Nepal. It is eaten by hand with meat curry, milk or vegetables. It is mostly eaten in the hilly region of Nepal. In Nepal, another cuisine to try is Thakali. Thakali food originates from the Himalayan and hilly region of the country and has widespread popularity among tourists and local alike. It consists of an assortment of vegetables and meat with rice, lentils adding a spoon of ghee which enhances the flavor completely. It is a traditional homemade sweet doughnut made of rice flour and sugar. Lots of ghee is added to make it soft and luscious. 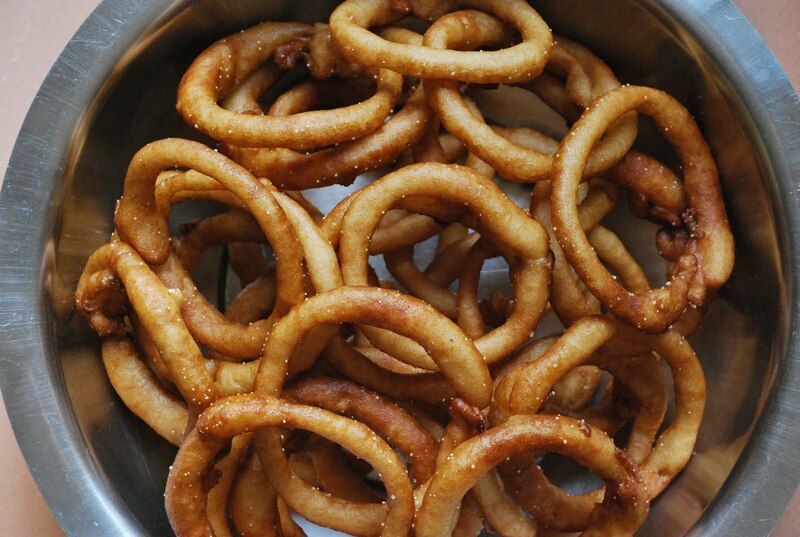 It is ring-shaped and generally eaten as snacks or dessert. Sel roti is mostly prepared during Dashain and Tihar, widely celebrated Hindu festivals in Nepal. It is also made during festivals and auspicious occasion. For any food lover, it is worth to try this Nepali version of a sweet doughnut.